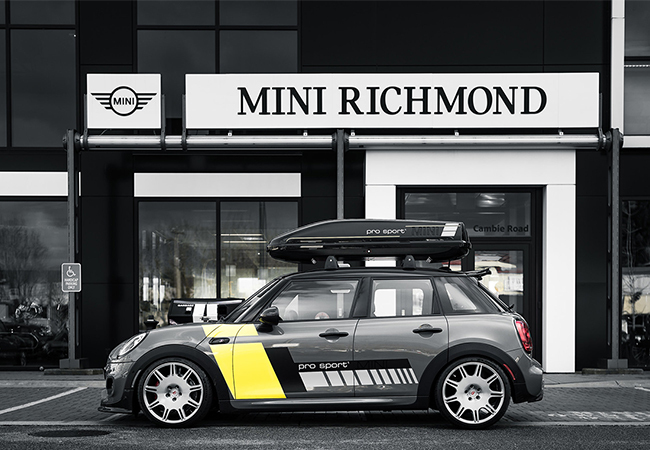 MINI Richmond and Performance One partnered up to create one of the fastest MINI's to hit the market with top-end performance parts from across the world—the MINI ProSport1 is the first of its kind in Canada. How did this all come to be? 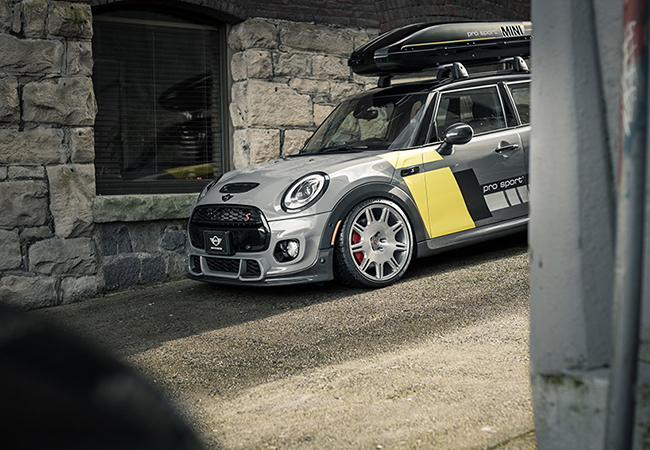 The team at MINI Richmond and Performance One had a clear vision to create a MINI that would challenge the status quo in every regard. 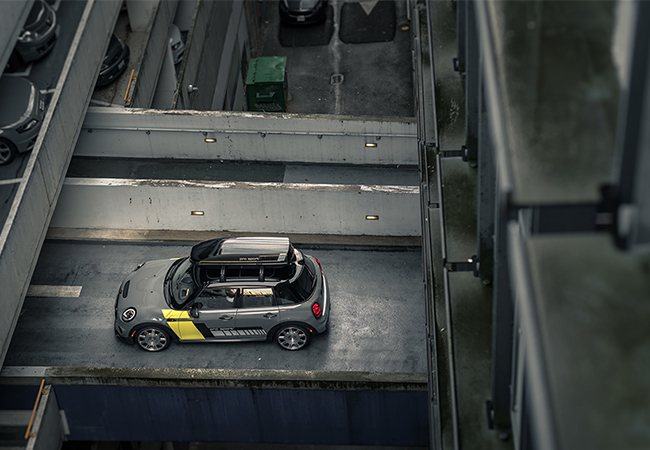 A MINI to approach the 300hp mark. A MINI that would be more than a commuter vehicle, with the potential to compete with other hot hatches in its class. And one that would bring it back to its motorsport roots. Their vision quickly became reality when Mike Lugni, Store Manager, Performance One and his team drew up a plan and started the build on an F55 MINI Cooper S 5 Door in Fall 2017. We chose the F55 5 Door platform instead of the traditional F56 3 Door to build something unique. We’ve kept it on the down low since (which hasn’t been easy to do! ), so we’re thrilled to officially share it with everyone! So sit back, read on and scroll through the images above. Enjoy! 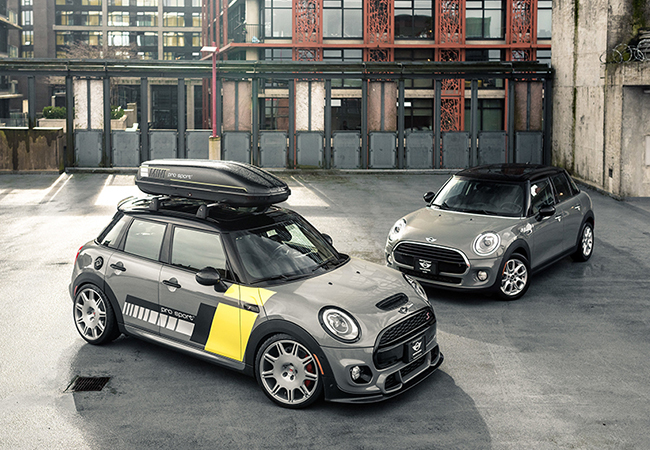 The MINI ProSport1 is exactly what we had envisioned. 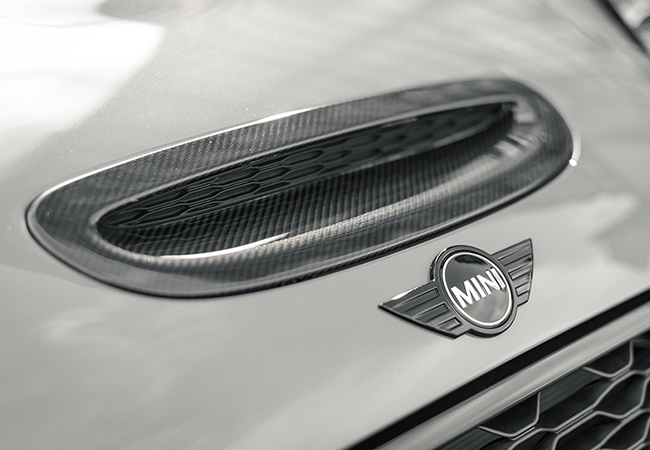 At first glance, it may not seem much different from any other modified new gen MINI. But you soon notice the subtle yet rare details, and it becomes clear the modifications were carefully chosen and chosen with a purpose. The 19” Vossen Forged Precision Series (VPS-312) wheels on the MINI is a first of its kind, you can’t deny it. One of the first (if not the first) sets to be custom built from our specifications with every available option Vossen has to offer for a MINI. Wrapped in Michelin Pilot Sport 4 S performance summer tires. Known for their premium carbon fiber aero parts in the BMW community, 3DDesign also produces an aero kit for the F56 (Cooper 3 Door). We modified them to fit perfectly on our 5 Door MINI! Complete with the front bumper lip, rear diffuser and rear spoiler add-on. Black is the new chrome. Subtle, yet completes the exterior aesthetics, you can’t go wrong with an OEM plus look. IND Distribution provided a custom cosmetic package for our build—dark tinted front side markers, door handles, fuel cap, and front and rear emblems. It seamlessly complements the factory MINI John Cooper Works Pro hood scoop, mirror caps and front and back light black trim. To top it off: Performance One custom graphics, blacked out front grille and belt moulding trim. The attention to detail put into enhancing the performance of this F55 is equally unmatched. All components were chosen from manufacturers with a motorsport background or performance mindset. All with the goal to achieve 300hp (factory MINI Cooper S model quoted at 189hp) while keeping it civilized for daily use. BPM Sport, well-known for their performance software tuning on BMW’s, provided a custom ECU tune for our build. Performance One worked with BPM Sport to create a custom flash tune for the B46 MEVD 1723. 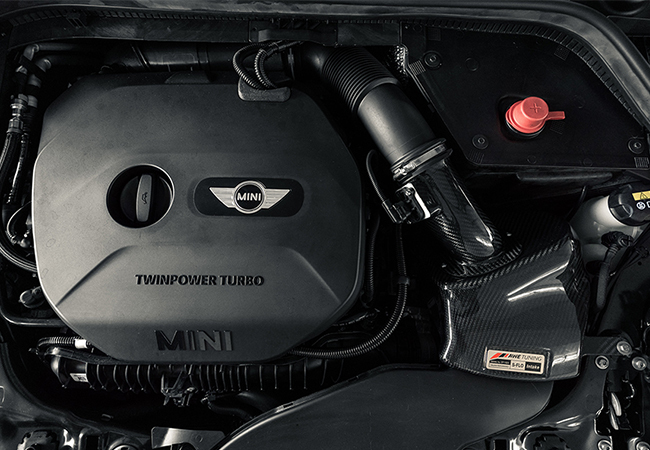 Peeking under the hood, you won’t miss the AWE Tuning S-FLO carbon fiber intake. 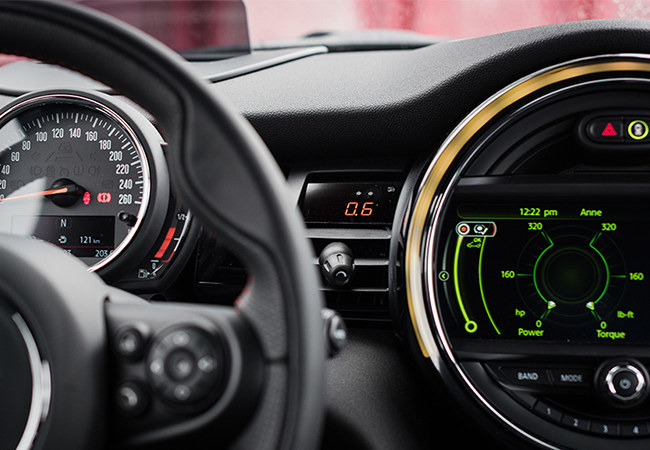 The MINI ProSport1 happens to have one of the first on the market for this application. Not far off is the upgraded Forge Motorsport intercooler fitted for the MINI Cooper S F54/F55/F56. When choice is limited but what you’re left with happens to be one of the best, the stars are aligned! Bilstein had one of the only suspension kits available for the MINI Cooper 5 Door, and it is top-of-the-line. While some things are hard to find, some are right under our nose. 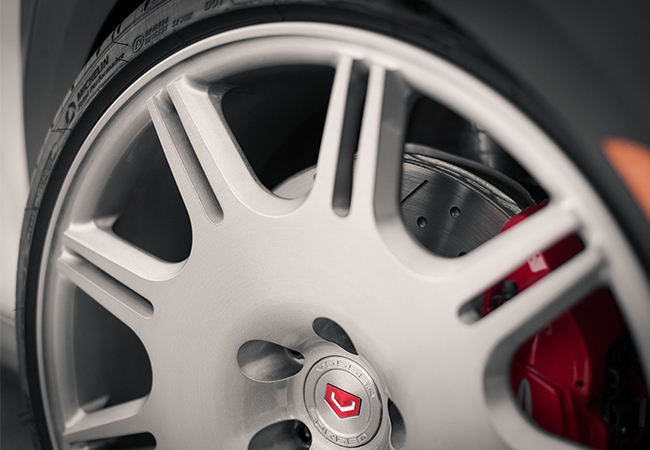 The factory MINI JCW Pro sport brake retrofit kit is the right fit! 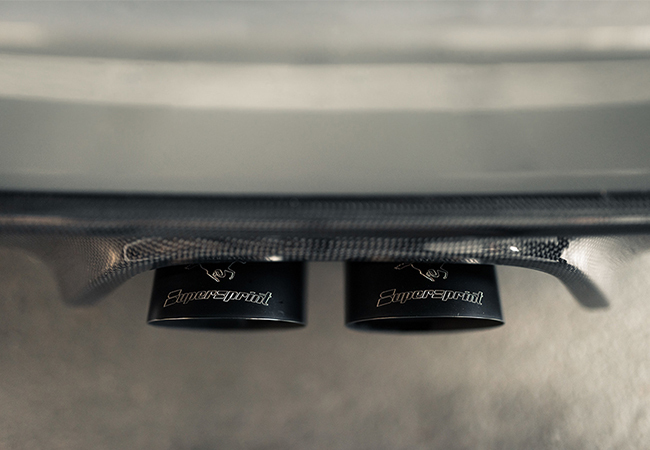 A build isn’t complete without a harmonious exhaust note. Supersprint was an obvious choice given they’re an expert in designing and producing sport exhaust systems for luxury vehicles and supercars. Our MINI sports their Track Performance turbo back catless downpipe system with QTP bypass valve kit and remote wireless control. The inside was kept stock with the exception of the P3 digital full optioned multi-gauge. 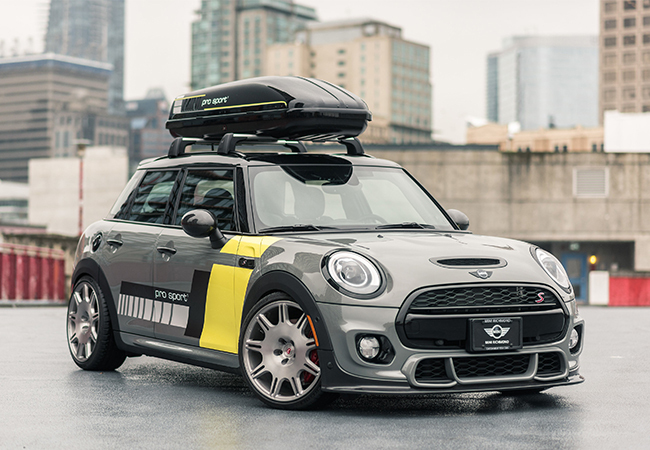 Thanks to Mike, his team and all the vendors who made this project possible, the MINI ProSport1 is a well composed build from the inside out, and it’s positioned to challenge MINI stereotypes. Look out for it this Spring/Summer, you’ll be sure to see it around. Or book an appointment with MINI Richmond to see it for yourself! - P3 Gauges: Full optioned digital multi-gauge with the following features: Boost pressure, coolant temp, air intake temp, exhaust temp, air/fuel ratio, speed, RPM with shift-light, battery voltage, 0–60 timer, optional auto-dim or manual dimmer display and more!